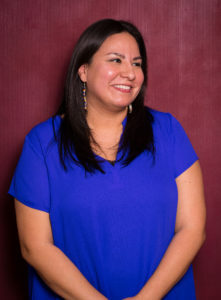 Sarah Hernandez (Sicangu Lakota) returned to First Nations in 2018 as Communication Officer. She is responsible for helping write and edit First Nations’ print and web materials as well as handling other duties. Sarah briefly left First Nations to complete her dissertation on the Dakota literary tradition. In 2016, she earned her Ph.D. in English-Literary Studies from the University of Colorado at Boulder, and accepted an Assistant Professor position at South Dakota State University, where she taught literature and composition for three years. She recently decided to leave academia and return to the Native nonprofit sector to continue working with tribes and tribal people. Sarah is also an adjunct instructor at the University of Colorado, where she teaches course on American Indian literature and film. 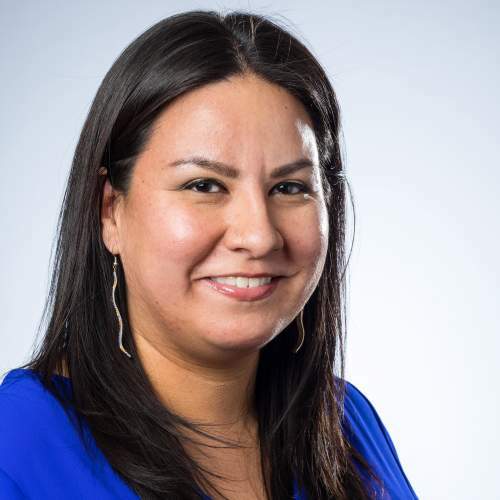 She is also the coordinator of the Oak Lake Writers Society, a tribal writing group for Dakota, Lakota and Nakota writers, and is currently revising her dissertation into a book manuscript.